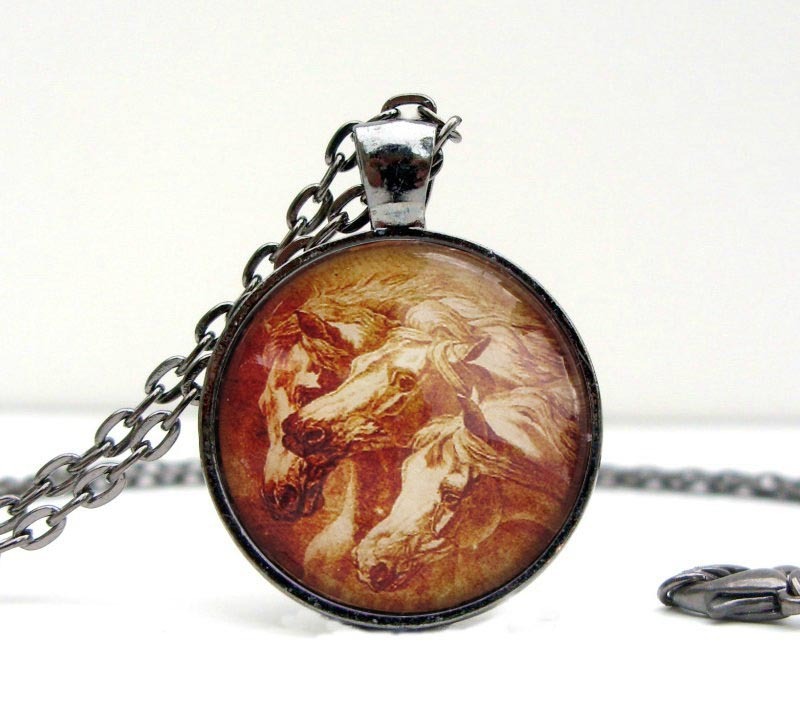 The Pharaoh's horses have found themselves on lots of products over the years, and while it's brand new (assembled in the USA by an artisan) this glass domed necklace looks like something you'd find tucked away in the back of an antique dresser drawer. It's only $19.95. HoofPrints also sells a color version of this old favorite image by J. F. Herring. Pendant measures 1" across, gunmetal chain is 24".